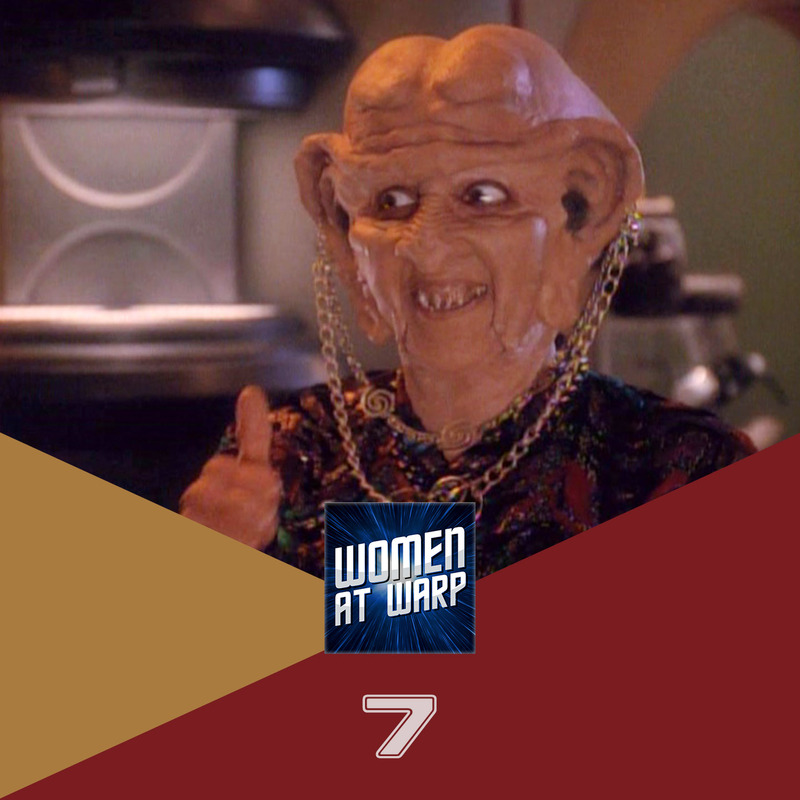 On the barrier-breaking individuals and social forces that led Ferengi women from being nothing more than men’s property to being fully-clothed, independent businesswomen! -Your self respect is the most valuable thing you own. So never sell it for anything less than a fortune. -Your spouse is also your business partner, so never, ever trust him. -Motherhood is costly. Keep track of the time and money you spend on your children so you can give them an itemized bill when they grow up. -The green of your teeth may fade, but latinum is forever. -A female’s place is in the boardroom. -Many males are distracted by a shapely clavicle; it is an opportune time to open negotiations. -Not the church, not the state, women will set their interest rate! -A cheating spouse is a lucrative business opportunity. -When you break through the glass ceiling be sure to save a few shards; you may need them. -Reclaim the night, and then charge for street lighting. -Wearing clothes is not consent. These are the best! I’m so impressed. Rule 6. Never allow family to stand in the way of opportunity. Bring them in on the deal instead. Rule 22. A wise man can hear profit in the wind. A wise woman can even make profits from the wind. Rule 31. Never make fun of a Ferengi’s mother. She will financially ruin you.